So here's a thing that bothers me: racism. And not just its existence in the world, but slightly more relevant to today's discussion, the discourses surrounding Hollywood and its portrayal of race. Several times a year, some stupid movie will come out where a nonwhite setting will be populated by white characters or nonwhite characters will be cast with white actors. This is a pretty obviously negative tendency. It is generally a bad thing. But what gets me even more frustrated than its existence itself is the way people talk about it. I happened across an article which exemplified a certain tempting but problematic position regarding Hollywood's problems with race and violence. I won't deny that all these cases are tricky, complicated issues (as you'll see, that's actually my central concern), but I think that for different reasons these types of articles go about criticizing what is a very real problem in what are ultimately not the most productive or helpful ways. "If studies have shown the way that perpetual violence in movies begets violence in America, then what about perpetual maintenance of the White savior standing over the ethnic servant/villain/imbecile?" Listen up everyone: Hollywood has a pretty troublesome relationship with both violence and race, but "studies show" isn't why. This overgeneralized approach to ideological critique is problematic because it ignores the specificity of every film and precludes the possibility for critical cultural representation. When you cut a film down to easily categorized basics, you lose the film's attitude towards these aspects of itself. D. W. Griffith's The Birth of a Nation is an unquestionably racist movie which depicts black slaves as evil by nature and white members of the KKK as saviors. It even contains a scene with a white actor in blackface chasing a little white girl, which is constructed in such a way as to make the audience fear and hate the artificially racialized assailant. But it is not a racist movie because it's about the KKK or because it uses blackface, but rather because of its individualized portrayal of these components. Once we begin to make generalizations like "movies about the KKK are racist" or "the use of blackface is racist"—or in the case, "casting colored characters with white actors is racist"—you ignore the specificity of the individual film's attitude toward these elements. Quentin Tarantino's recent film Django Unchained depicts members of the KKK—and for the matter, it participates in the "White savior standing over the ethnic servant/villain/imbecile" stereotype Dennis is so concerned with—but it does so in a satirical light, making fun of the KKK and the white overseers for their impotence and lack of organization and foresight. 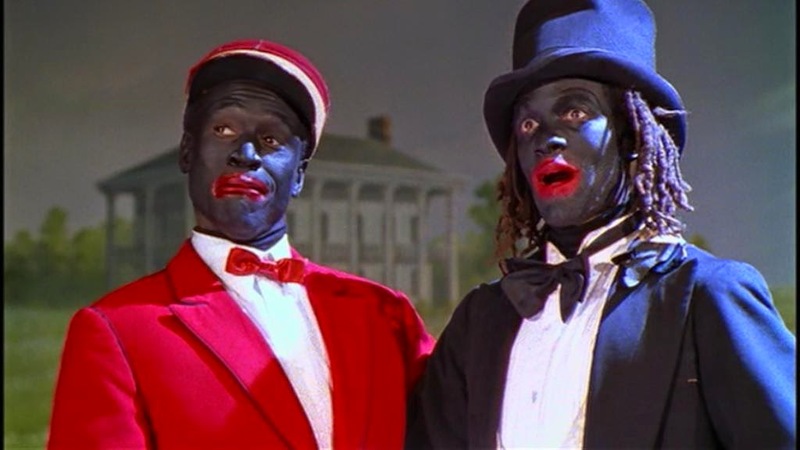 In a similar way, Spike Lee's 2000 film Bamboozled uses characters in blackface, but by having black characters wear it the film enacts a role reversal which ruthlessly criticizes its use throughout history. Likewise, Gore Verbinski's recent attempt to bring the Lone Ranger franchise to the big screen involved another highly publicized controversial casting of the white Johnny Depp in the Native American role of Tonto. However, Eileen Jones's incredible article for Jacobin shows how this move was more self-conscious and critical of the story's origins than most audiences bothered to acknowledge. 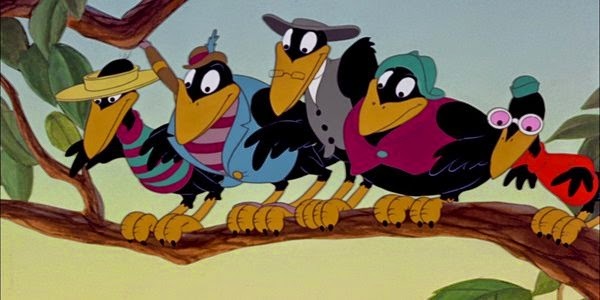 Verbinski's Tonto recognizes the problematic nature of his character and its source material and makes every effort to question these representations of race. Consider the same issue regarding filmic portrayals of violence. Just as there are movies like Michael Bay's Transformers franchise which wholeheartedly endorse the violence they depict, there are also movies like Denis Villeneuve's recent film Polytechnique which take a critical stance towards the violence they present. In the same way, movies can portray racism without sanctioning it. 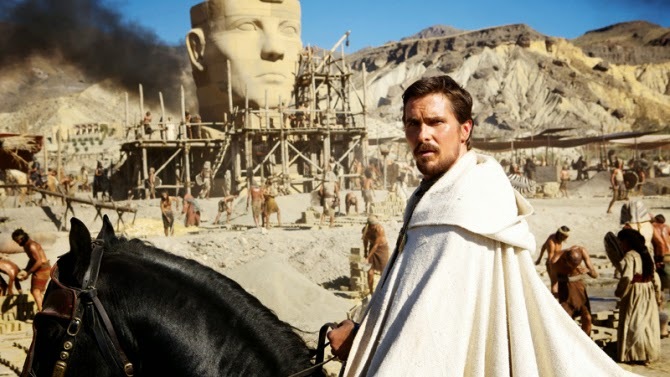 From the details of the film's production, I fully expect Exodus to be unforgivably unaware of its racist foundations. I admit it: I think it will be more Transformers than Polytechnique. But while I don't expect it to be particularly critical of its portrayal of race relations, I will withhold my criticism until the film is released and I can see it for myself. As tempting as it is to say "You probably shouldn't go see [it]," we need to watch this type of movie before we decide it's bad. Otherwise we're just as much to blame for spreading ignorance and injustice as the filmmakers we criticize.